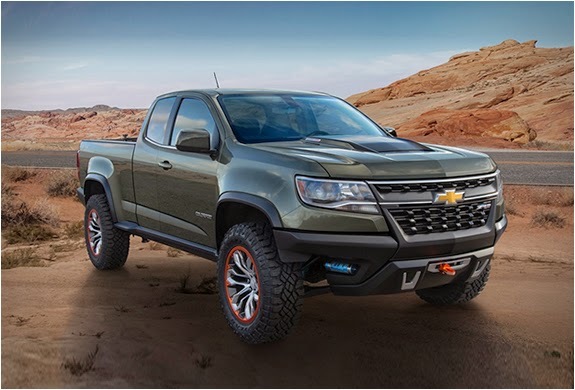 Chevrolet have unveiled to the world the Colorado ZR2. 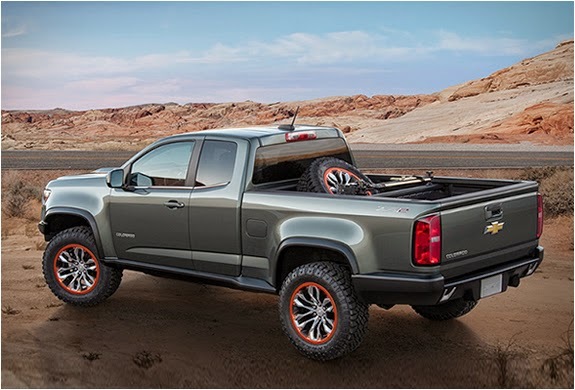 The aggressively styled off-road pickup will be presented at this year´s Los Angeles Auto Show, and will definitely be one of the show´s highlights. 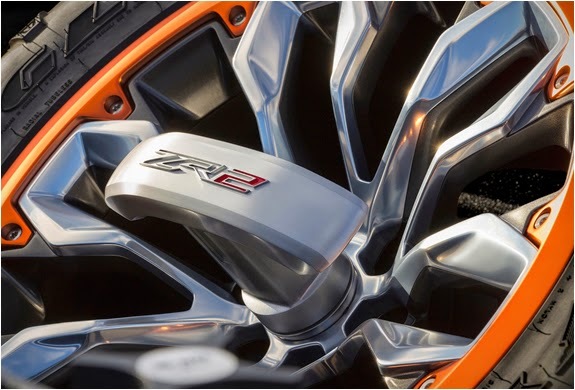 The Colorado ZR2 is equipped with a powerful 2.8-liter Duramax diesel engine, 181 horsepower and 369 pound-feet of torque. 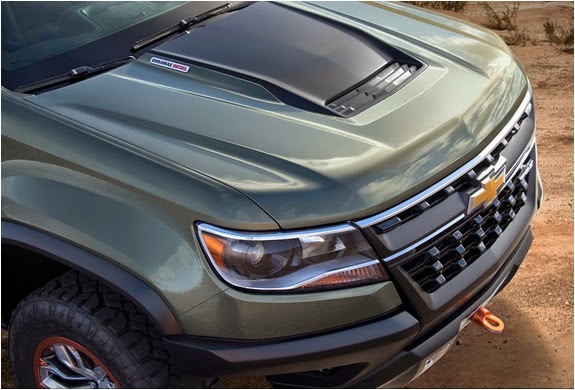 Adding to the off-road abilities are flip-out aluminum tow hooks, built-in winch in the front, 275/65 tires mounted on custom 18-inch "bead-lock-style” wheels and electronically locking front and rear differentials.